Posted by Jon in Hasbro, Marvel Legends, NYCC 2015 with 0 comments. We had the opportunity to get back together with the Hasbro Marvel design team after the other night’s amazing reveals and do a short interview. I recorded it and uploaded the video to our YouTube feed, so feel free to check it out here. I apologize if I sound a little nervous at the beginning, but this is the first time I’ve had a chance for myself and David to sit down with the team one on one. It was a great experience, and we look forward to any future opportunities to chat with them. I do want to thank Justin and Brandon at Hunter PR as well as Dwight, Mike, and Tony who fielded our questions and quite a bit of praise (hey, I was really excited about the reveals!). We talk 2016 plans, as far as quantities of figures compared to 2015. How we got to this point with Marvel Legends, where it is again one of the biggest presences in the toy isle. Movie tie-ins as well as comic tie-ins. How hands on is Marvel in the character selection process? Dwight is a big fan of Benedict Cumberbatch … maybe this is a hint of a Dr. Strange movie wave? 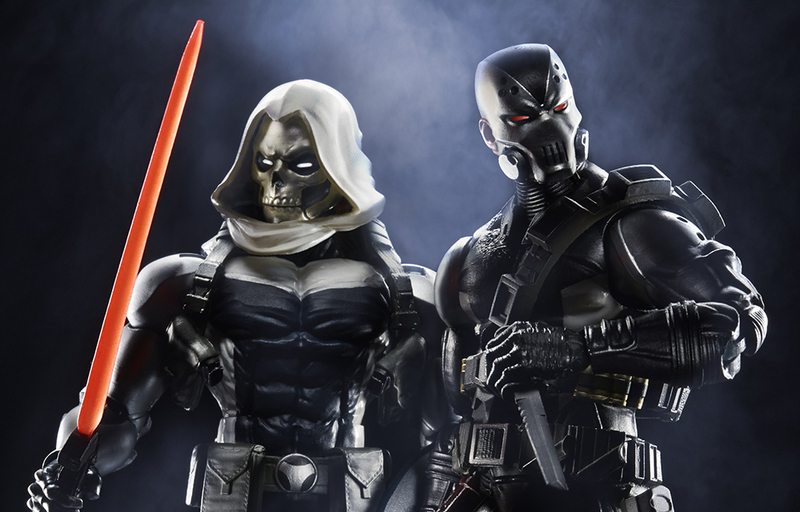 Secret Wars two-packs planned for Marvel Legends 3 3/4″ scale.